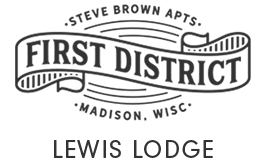 Lewis Lodge has four apartments with tons of character! The one bedroom apartments are all unique, and include details such as claw foot bathtub, decorative fireplaces, granite tile floors, vintage kitchens, and great sunlight. The studio apartment has a private entrance, wood floors, and lots of windows. In addition, there is a shared back patio, and your utilities are included.